Following Decree No.163/ND-CP, foreign investors will now be allowed to set up logistics services companies from February 20, 2018, in Vietnam. The establishment of new companies will be subjected to conditions on ownership and services. The services under the decree have been divided into 16 types such as cargo handling services, container warehousing services, and cargo agency services. 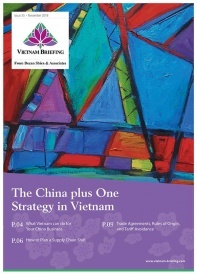 Foreign firms have to operate their fleet under the Vietnamese flag. The total number of the Vietnamese crew members working on vessels should be two-thirds of the total including the captain and first deputy. As for purchasing shares or capital contributions, the contribution ratio cannot exceed 49 percent. The percentage of foreign investor’s capital contribution ratio under this service, cannot exceed 50 percent. 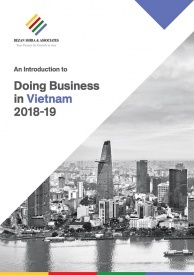 Foreign investors can also establish a commercial presence in Vietnam in the form of business cooperation contracts or establish their own firms. Foreign investor’s contribution ratio cannot exceed 50 percent in the case of container handling service providers. They can also establish their own firms. Foreign investors can establish their own firms or partner with an existing firm by contributing capital to or purchasing shares from the contributed capital portion of the enterprise which would include the capital contribution of domestic investors. They can also establish a commercial presence in the form of business cooperation contracts. Other services allowed include checking of the bill of lading, cargo brokerage services, goods inspection, sampling and weighing services, goods receipt and acceptance services, and the preparation of transport documents. Foreign firms can set up enterprises or contribute capital or purchase shares in an enterprise, limited to 49 percent. 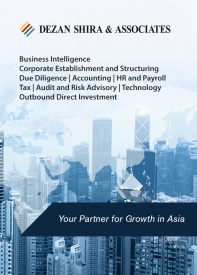 Firms can set up a 100 percent foreign-owned enterprise or contribute capital/ purchase shares in a joint venture. The share of the foreign investor in the latter case should not exceed 51 percent. Foreign investors are also allowed to establish a commercial presence in the form of business cooperation contracts. In addition, all the drivers of the enterprise must be Vietnamese citizens. In case the customer has no prior information on the value of the goods, the maximum liability limit is set at 500 million VND for each claim. In case the customer has given an advance notice of the value of goods and certified by traders providing logistic services, the liability limit shall not exceed the value of such goods. The logistics industry is one of the fastest growing sectors in the country. In 2016, the top 100 logistics firms’ total turnover stood at US$8.74 billion, growing by 15.6 percent year-on-year. It currently contributes around 2-3 percent to the country’s GDP and is predicted to continue its growth at over 15 percent in the next four to five years. In spite of the rapid growth in the domestic logistics sector, foreign firms hold a larger market share than local firms. 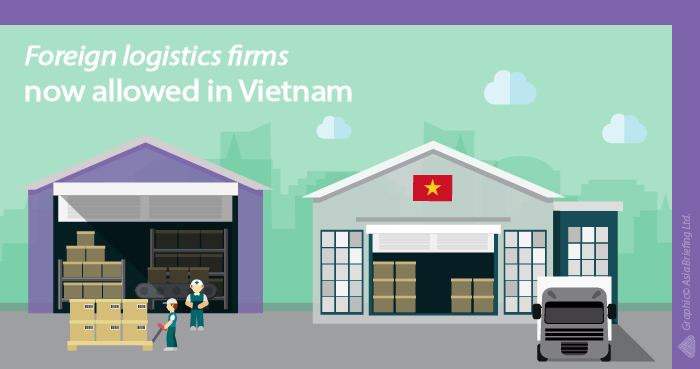 According to the Vietnam Logistics Association, Vietnam has 3,000 local firms, with 1,300 of them being small and medium enterprises. The local firms only account for 25 percent of the market share, while the remaining 75 percent is made up of 25 foreign firms. Total shipping volume of Vietnamese vessels in 2017 totaled 130.9 million tonnes of cargo, six percent higher than in 2016. Total shipping volume through all the seaports totaled 536.4 million tonnes of cargo, up 17 percent from 2016. 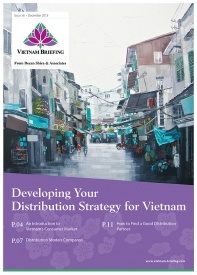 Despite the growth in turnover and shipping volume, Vietnam continues to suffer from underdeveloped infrastructure and high logistical costs, which is around 20 percent of the GDP. According to the World Bank’s 2016 Logistics Performance Index, Vietnam’s rank dropped from 48th in 2014 to 64th in 2016 amongst 160 countries. It was fourth among the ASEAN countries, behind Singapore, Malaysia, and Thailand. By 2025, the government aims to increase the contribution of logistic services to GDP to around 8 to 10 percent, at a growth rate of 15-20 percent. Industry experts believe that the growth rate is achievable, but the GDP contribution would only be around 5 percent. The major challenge in the industry is high cost, which in 2016 was US$41.26 billion, equivalent to 20.8 percent of the GDP, much higher than the global average of 11.7 percent. Inadequate use of information technology. 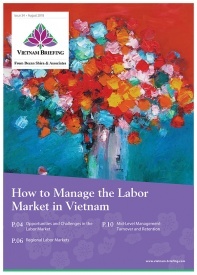 Vietnam has to continue with its institutional and policy reforms to reduce costs for domestic firms, further improving its competitiveness. Strengthening coordination and partnership with the private sector. In addition, it also has to develop the inland ports or Inland Container Depots (IDC), and increase its connectivity to the rail, domestic waterways, and road networks to reduce the overall costs. Due to its high dependency on global trade, the logistics industry will continue to be a crucial sector for Vietnam for it to maintain its competitiveness. In spite of all the challenges, foreign firms will continue to find Vietnam an attractive market, due to its growing trade, economy, and numerous Free Trade Agreements (FTAs). Infrastructure, although underdeveloped, has started to see an increase in public investments, especially in road networks and ports. In addition, the government continues to implement numerous customs and other administrative reforms, to reduce complexities. Vietnam’s 2017 FDI pledges reached a 10-year high of US$35.6 billion, up 44.2 percent from 2016, while realized capital stood at US$17 billion. Going forward, FDI will continue to increase as more and more foreign firms shift their manufacturing bases from China to Vietnam due to high costs. In addition, the rise in disposable income and growing economy will continue to drive investments in the domestic sectors. FDI will continue to influence the overall trade, which reached an all-time high of US$400 billion in 2017. Exports grew by 20 percent, while imports grew by 21 percent, further making Vietnam an ideal destination for foreign logistic firms. 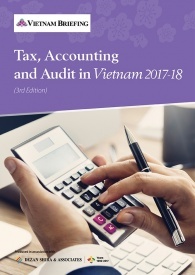 With several free trade agreements already signed and few others to be in effect such as the EU-Vietnam Free Trade Agreement, Vietnam is expected to see an increase in import/export activities. In addition, most of the FTAs are going to implement reduced tariffs from 2018, further boosting trade. Under the ASEAN Trade in Goods Agreement (ATIGA), Vietnam is going to join the ASEAN Single Window (ASW) in 2018, further reducing the border clearance times. ASW is a regional initiative that aims to connect the National Single Window (NSW) of ASEAN member states to reduce cargo clearance procedures through electronic exchange of border documents among the member states to further increase economic integration in the region.